Classic pergola design, built for maximum sun coverage and engineered for extreme weather conditions. Base price range: $2,410-7,990 for standard sizes. Designed just like our Big Kahuna, with half the rafters and top slats, built for medium sun coverage. Base price range: $1,930-6,390 for standard sizes. Classic pergola style, with a more open design, taller/ un-notched roofing system for light coverage. Base price range: $1,740-5,750 for standard sizes. Wooden trellis kit design, perfect as a patio or walkway border, for hanging plants or lighting. Base price range: $707-$1,457 for standard sizes. 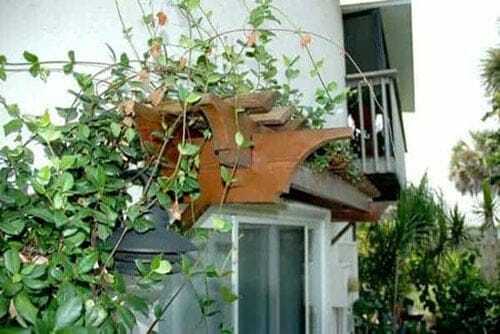 Wall or eyebrow pergola kit that enhances and provides shade above a window or door opening. Base price range: $595-$1,361 for standard sizes. 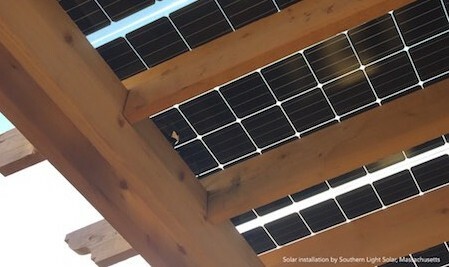 Capture the sun under a Solar Ready Solar Pergola Kit. Big Kahuna design configured to accommodate solar panels. Base price range: $2,790-9,240 for standard sizes. Click Here to Compare Pergola Kits or contact our experts now! Every pergola kit we sell ships free in the contiguous US! 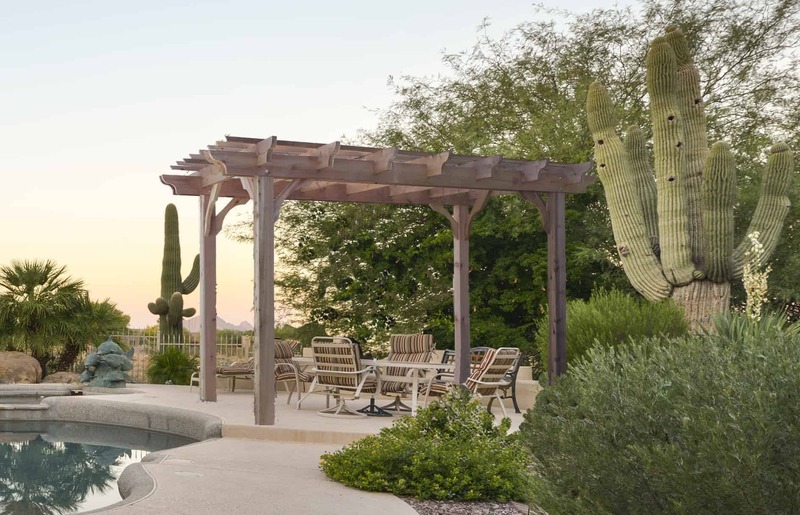 Each one of our pergola kits are completely customizable. You can choose your options such as size, wood type, end cut shape, post lengths, and whether it will will be attached to your house or freestanding. We’ve taken all the guesswork out of the building process. If you’re handy with common hand tools, you can DIY and save thousands compared to a custom pergola built on site! Notched, quality wood, high density of rafters and tops slats increases stability of our pergolas and their ability to withstand strong winds and weather. Pre-cut, pre-drilled, with detailed instructions. Over 90 standard pergola kit sizes to choose from in freestanding or attached, and custom sizes available. Also offering popular sizes of planter box kits for flowers, vegetables, or firewood. We maintain a small, skilled crew that pays attention to detail and works efficiently to keep overhead low so we can continue to keep our prices affordable. Pergola Depot offers over 90 standard designs and sizes as well as custom pergola options. 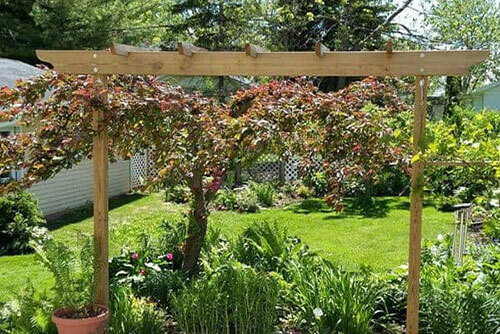 We use high grade lumber, stainless steel hardware and back our pergola kits with a one-year limited warranty. Every DIY wood pergola kit comes complete with all pre-cut, pre-drilled lumber that is pre-marked for easy assembly. We build each kit to order and ship from our shop within 10 business days free of charge in the contiguous United States. Shipping outside the U.S. and expedited service is also available. 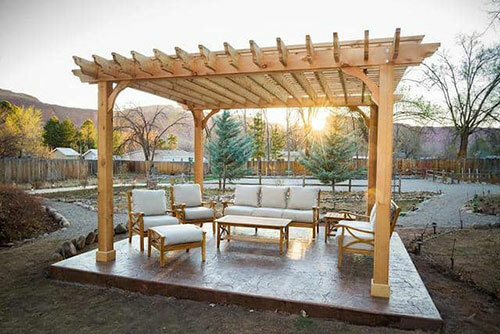 We manufacture the following quality wood pergola kits: attached cedar pergola kits, attached pine pergola kits, freestanding cedar pergola kits, freestanding pine pergola kits, and cedar planter box kits. Our attached pergola kits and freestanding pergola kits are available in our full size pergola styles including The Big Kahuna, The Sombrero, and The Fedora. 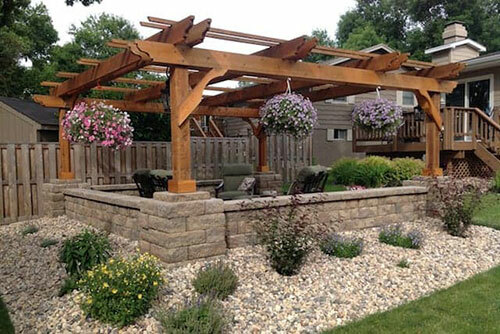 Each pergola style provides a different amount of coverage. The Brim is a trellis kit and can be standalone or paired with a full size pergola kit. The Visor is a wooden awning kit that enhances and provides shade above a window or door opening. Our cedar pergola kits, pine pergola kits, and cedar planter box kits all include step by step instructions to guide you through the assembly process. 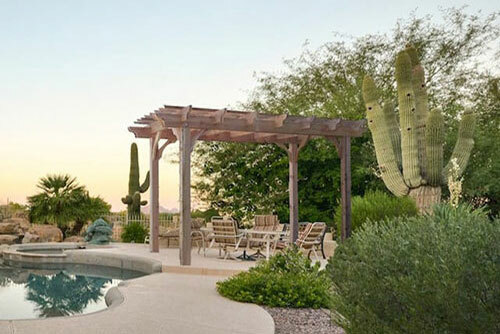 We provide helpful resources to help you make decisions about your wood patio cover, including: Guide to Choosing a Pergola, Pergola Styles Comparison. Ordering is easy through our website, and live customer service is always an option. Call us at 877-563-0002, send an email, or use our contact form. What Do Our Customers Say About Our Pergola Kits? Pergola Depot got involved and went above and beyond to make sure that our pergola was delivered. The product and prices are great too. Pergola Depot is Amazing! Great Quality, Workmanship and Pricing, Even the handling of the freight was top notch. Highly Recommend! I am quite pleased with my Pergola. I highly recommend this product! Excellent service and great product. Purchased the Sombrero Pergola Kit and it came on time in a secured wooden container. Highly recommend this company and their products. The pergola kit arrived in excellent shape and on time. The lumbar was cut correctly and was dry and straight. Overall, very satisfied.